JToon7, Barrin01 and 3 Guests are viewing this topic. That rings a bell, but not that they were all wearing the same brand, rather it was a single pair of shoes that did the rounds, only one of them had the pleasure of using them at any one time. A bit like the coldsore that gets passed round the band in This is Spinal Tap. If Blackburn don't go up aye. Even though they get poor gates, historically and more recently I'd say they're bigger. Wasn’t there a fan of theirs in the paper kicking off that this seasons shirt won’t be sold in XXXL? Aye that’s what I meant I remember that white pair of trainers being shared. f***ing hell man, I have the unfortunate mispleasure of working there a lot and the clip of them is a sight (not) to behold. Some of the fattest and ugliest people I’ve seen and some of the trampiest. I just don’t get them. SJP is the landfill yet not even O’Brien’s skip hire could match them on a match day for rubbish, and I’m not talking about their players or their attendances either. As for drunken violence from fans and yobish behaviour... they have had more than their fair share. During the AJ trial I was working in mackemland and there was a teenage lass walking around with AJ on the back of her shirt and either she was with her dad at the time, or probably her nonce. No self awareness or self respect. I bet there’s a few teenage lasses who got knocked up at the time he was playing called their sprockets AJ or Adam!!!! 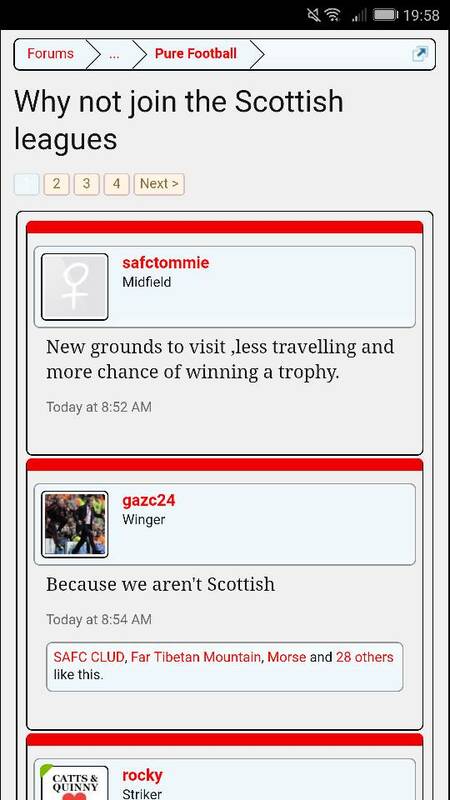 They absolutely hate it when we get praise from somewhere dont they. You can just tell by their bitter replies. We proper affect their lives like. Isnt that the Mickams in the article photo? Excellent straight down the line reply. "Annoying thing is we were close to being on par with NUFC at one point – still – we have owned them for the last decade just about so that will have to do." Hmmm, 4 seasons, one of which we were a division below, is now a decade. Presumed his point was that's what they will call them.